I am pleased to announce that the winner of our 1st ever facebook photo contest is Andrea Miller. Actually, I’m told that Andrea’s husband Ben entered the photo, but his computer was logged into Andrea’s account when he did it. Anyway, Ben took this photo on December 18 2009 during an early season storm. Most people who see this photo are taken with it right away, so I’m not surprised it won. It probably was the best photo submitted. In addition to having a great photo, Ben also has a huge network of friends that he was able to recruit to vote for his photo. That meant that our contest worked exactly as it was supposed to. Lots of people who had never heard of The Queen Victoria were exposed to us for the first time. It was a great success. Anyway, Ben & Andrea are the winners of a 2 night stay at The Queen Victoria, which they can use any time they want to. This contest was actually pretty close because another great guest or ours named Margi Conklin was able to generate lots of votes for her submission as well. We were so excited about the whole thing that we decided to extend the contest a bit and award a consolation prize of a 1 night stay at The Queen Victoria to Margi. Congratulations to both Andrea/Ben and Margi! I also want to extend a BIG thank you to all of you that participated in our contest. It was a huge success for us. If you watch the movies you know that Christmas should be celebrated in a big old house with a cozy fireplace and lots of heart warming decorations. You should be surrounded with fun and vivacious people sharing the joys of the holiday. You know, a special place with wonderful memories and feelings. If your current Christmas plans don’t sound like that, then I might suggest you change you plans (or make them, as the case might be) to spend Christmas at The Queen Victoria. The Queen Victoria has become a Christmas tradition for LOTS of our guests. We’ll have at least 50 people celebrating Christmas with us this year. The good news is that there is still room for you! Come join us for a festive Christmas experience which includes a special dinner at Freda’s Cafe on Christmas Eve, a wonderful Christmas banquet on Christmas day, lots of cheer and a wonderfully good time. The Christmas banquet includes a cocktail hour with open bar and hors d’oeuvres (I can never remember how to spell that word!) and a very special 3-course dinner at the Merion Inn, just steps from the inn. Of course, George will be playing piano for our entertainment. Santa will also be making a visit while our guests are sleeping to add a little extra Christmas cheer. Give us a call soon to make reservations for your Christmas stay at The Queen Victoria! It might just become your new tradition. Yes, it is time to start making plans to contact your departed loved ones in April. Back by popular demand (really popular), Craig is returning to do his channeling thing at The Queen Victoria. These small, intimate group sessions with Craig have proven to be wonderful experiences for dozens of our guests in the last year. I know that lots of you tried to get into the last couple of sessions that Craig did with us and were unable to. Lots of you who have attended in the past have been anxious to get our schedule for Craig’s events for 2012. Either way, this is your chance to spend some quality time with Craig and some of your departed loved ones. Because we want to guarantee a quality experience for everybody participating, we are seriously limiting the number of people per session. We are only accepting 20 people for this event, so don’t wait. We have lots of great rooms available for this weekend too! So you’re probably so wrapped up in Christmas shopping about now that you haven’t had a chance to make plans for New Years yet. It is a common problem. Luckily, you have me to guide you in this critical matter! First of all, we have to find a place that still has the ambiance and charms of Christmas. Further, we can’t consider any place unless there are great places to eat and plenty of shopping. Perhaps most importantly, the ideal celebration location should provide for easy walking back to “home” after a long night of celebration. Finally, it would be great to be close to home so you can get there easily. It is incredible to me, but the only place that I can think of that matches all of these essential criteria is … yes, you guessed it: Cape May! There really are lots of opportunities for New Years fun in Cape May, ranging from a grand ballroom experience to a low-key romantic dinner at your favorite restaurant. Conveniently, we still have some very nice rooms to choose from for New Years weekend. Give us a call (or visit our website) and your New Years Eve dilemma will be solved! Do you feel like Cape May is your 2nd home? I know lots of you view Cape May, and The Queen Victoria, as your 2nd home. If so, I think that is great! A big part of what makes Cape May such a wonderful place to visit and to call home is the Mid Atlantic Center for the Arts & Humanities (MAC). You may be aware of the important role MAC plays in the health & vitality of Cape May. Perhaps you also know that I have the honor of being President of the Board of Trustees of MAC. In any case it occurred to me that if Cape May is important to you, then MAC should probably be important to you too. 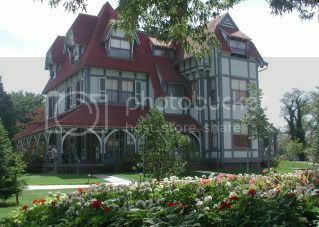 MAC is a non-profit organization that promotes preservation and the arts in Cape May. They have saved/restored the Emlen Physick estate, the Cape May Light House and the WWII Lookout Tower. 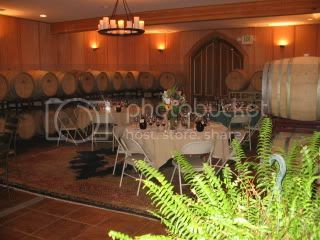 They also sponsor the Spring Festival, Music Festival, Food & Wine Festival, and many other wonderful events. Like many non-profits that depend to some extent on state funding, they have struggled (successfully!) to maintain their mission with dwindling resources. Anna Marie and I, many Cape May businesses and residents, and several of you, our guests, are members of, and contributors to this very important organization. If you’re not already a member and/or contributor to MAC, I’m hoping you might consider it. As you plan your year end finances and are seeking worthy causes for any charitable giving, I hope you’ll consider MAC. Any donations you make will obviously be tax-deductible, and they will be helping to insure the future of one of Cape May’s most important institutions. Christmas has definitely arrived in Cape May. If I didn’t know better, I would swear we were in the North Pole (except for the warm sunny weather and the beautiful beach). In fact, Santa was sighted here just the other day. In case you haven’t heard, Christmas in Cape May is a big deal. Lots of beautiful old homes decorated in lights, with bows and garland found in every direction you look. 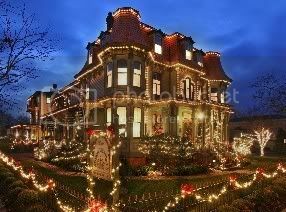 Christmas house tours are scheduled for nearly every day of the week, and the trolley schedules are filled with special holiday “lights” tours every night. Did I mention shopping? Yes, there is plenty of shopping to go around for everyone. Judging from the number of bags I’ve seen being carried into the house there are either lots of great deals, lots of great stuff, or a combination of both. Seriously, no Christmas season is really complete unless it includes a trip to Cape May, even if it is only for a “day trip”. 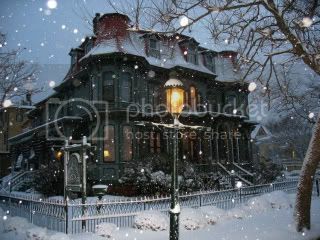 Of course, the best way to enjoy the Cape May Christmas experience is to come and stay at The Queen Victoria for two or three nights. Have you stayed in Bloomsbury before? If not, I think you should consider trying it. If you have, then there is a pretty good chance you’re already planning to stay in it again. Bloomsbury is one of my favorite rooms. It is not a very big room, but it has a wonderful “feel” to it. I’m not going to get too “touchy/feely” here, but every time I walk into the room I get a smile on my face. It is a bright, cheery room on the 2nd floor of Prince Albert Hall. Since Bloomsbury is a corner room there are windows on two sides of the room, allowing lots of bright sunshine to fill the room most of the day. For folks like me that like fresh air, the room also affords some great cross-breezes of fragrant ocean air when the windows are opened. 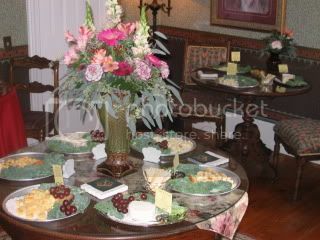 Do you feel that The Queen Victoria is the best B&B in Cape May? I know I do, but I’m a little biased. Based upon all your votes in the past for “Best of Cape May” (which we just won for the 4th straight year), lots of you agree with me. Fortunately, we’re still ranked #1 in Google Places based on the 5 great reviews that have been posted on Google. They used to rank us based on the reviews from other sites like tripadvisor.com, but they recently decided to use their own reviews instead (they really are trying to take over the world). Anyway, with only 5 reviews we are in a precarious position. I KNOW that it would upset you if we lost our #1 ranking, so I’m hoping you can help us out. If you are so inclined, PLEASE take a few moments to post a review for us at the link below. I’m willing to “buy your vote” here with a free cup of coffee to everyone who posts a review. How can life get better than that? OK, since this IS the Christmas newsletter, I would be remiss if I did not make at least one excellent suggestion for a Christmas gift. While I hesitate to suggest something as self-serving as a Queen Victoria B&B gift certificate, I honestly cannot think of a single gift idea that would be better. Seriously, can you think of a better gift idea than a gift certificate to The Queen Victoria? Of course you can’t! It’s a formality, of course, but I want to review all of the many reasons that this really is the perfect gift. You might get to enjoy it too! So do yourself a favor this year and give your loved one a gift certificate to The Queen Victoria. You’ll be happy you did (so will they)! So, progress continues on the new Convention Hall. I was just comparing this photo with the one I posted last month and I must admit it doesn’t look all that different. That is surprising, because a LOT of progress is being made every day. Look closely, though, and you can really see things taking shape. In the lower left of the building you can see all of the facing materials are mounted. You can see where the windows will be. In the upper right of the photo you can see that the sandy colored stucco (probably some synthetic material) has already been applied. They’re still targeting for a Memorial Day opening, which is coming up pretty quickly. I’ve heard that the opening weekend is already scheduled with a concert by the Philly Pops orchestra led by Peter Nero. I must admit, It sounds pretty exiting. 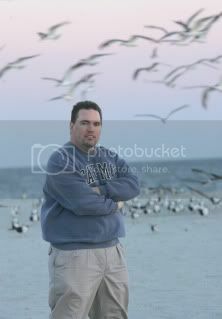 As usual, my choices for Guest Photo go beyond aesthetic beauty. This is a photo that was taken just a couple of days ago by one of our early Christmas Season guests. You might recognize the fireplace in the Queen Victoria building dining room. Knowing that you are very observant, I’m sure you’ve notice that it looks a little different than it normally does. Yes, it is festooned (how often does one actually get to use that word?) with Christmas Decor galore. 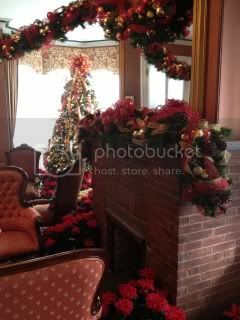 I’d also like to point out the incredible poinsettias that are placed on the hearth. 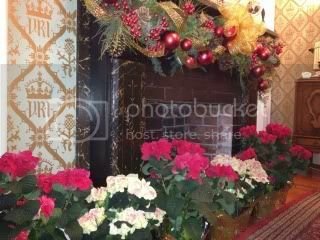 These are “Winter Rose” poinsettias that have become a Christmas tradition at The Queen Victoria. They are very uncommon and special, as you can see. We buy lots of extras each year so that our guests can purchase them to take a little bit of our Christmas tradition home with them. Do you love Jimmy Stewart’s “It’s a Wonderful Life”? If so you absolutely need to make plans to see “This Wonderful Life” during your December visit to Cape May this year. This wonderful stage adaptation of Frank Capra’s adored Christmas film is a one-man show that brings the story to life before your eyes. If you’re like me you are probably wondering how one person could possibly pull off a show like this, but you’ll be delighted and amazed at the result. Watching this amazing actor shift between parts, personalities and voices is simply incredible. 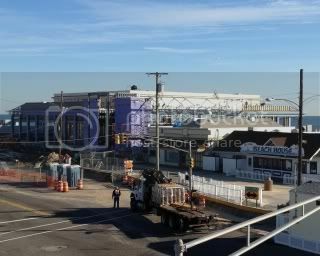 I noticed that Cape May stage is offering a couple of special pricing options on select performances which I thought you might be interested in. First there is the “half price senior matinee” on December 10 for anybody 62 or older. There is also a “Pay what you can” night on December 15 (kind of like priceline.com where you name your own price). See this show, you’ll be glad you did. I think we can all agree that Cape May is a special place; far more than just a beach town. For me, the cultural offerings that exist in Cape May, including MAC’s Music Festival, the Cape May Jazz Festival, Cape May Stage, East Lynne Theater, the Food & Wine Festival, and, significantly, the fairly new Cape May Forum are a huge part of what makes Cape May an incredible place to visit and live. This June 2-3, the Cape May Forum will help launch the summer season as they once again bring a forum of experts, nationally renowned speakers, top notch panelists, and authors to Cape May to explore the critical issue of Sustainable Energy. This 3rd Annual event is titled “Running on Empty – The Future of Energy”. This is sure to be a thoughtful, enlightening and enjoyable series that I’m sure many of you will want to experience. Tickets can be purchased for one or both days of this event, allowing you to fully experience Cape May while participating in this imperative exchange of knowledge and thought. Don’t forget to bring your own opinions with you, as audience participation is encouraged. If you’ve ever asked Anna Marie or me about restaurants, then you’ve probably heard that Freda’s Cafe is our favorite overall restaurant. I know I’ve featured them before, but I decided it was time to tell you about them again. 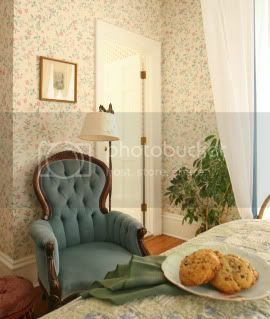 First of all, if you’re looking for a pretentious or elegant setting then you can ignore everything I’m about to say. Freda’s is a cozy, quaint restaurant that happens to serve some of the best food in Cape May. OK, so let’s talk about the food. Crab Cakes, Rack of Lamb, Boneless Ribs, Beef Wellington, … I could name amazing dishes for a while. Every dish I named is incredibly tasty and beautifully presented. To be honest, I’ve never had anything at Freda’s that I didn’t think was wonderful. One of the things about Freda’s that I really like is that it is not a-la-carte. Every meal is served with a very nice salad (I recommend their signature “ginger sesame soy” dressing) and fresh baked bread. Freda’s is also a BYOB restaurant, which we love. Anna Marie and I have only been to lunch there twice in 8 years (our days are pretty busy), but I’m told it is a great lunch spot too. Starting in January, Monday nights are “Buy 1, Get 1” at Fredas. Reservations are a must!